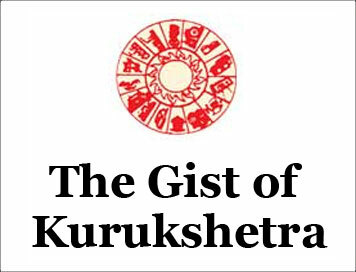 (The Gist of Kurukshetra) DIGITAL TECHNOLOGY IN FINANCIAL INCLUSION [DECEMBER-2018] | IAS EXAM PORTAL - India's Largest Community for UPSC Exam Aspirants. Financial Inclusion is the way the Governments strive to take the Governments strive to take the common man along by bring them into the formal channels of economy thereby ensuring that even the person standing in the last is not left out from the benefits of the economic growth and is added in the mainstream economy thereby encouraging the poor persons to save, safely invest in various financial products and to borrow from the formal channel when they need to borrow. Scope of the financial Inclusion is not limited to only banking services but it extends to other financial services as well like insurance, equity products & pension products etc. Thus, financial Inclusion is not just about opening a simple bank account with a branch in an unbanked area. The present government has made itself committed, since beginning of its term, to give special emphasis on the financial inclusion of every person of the country. One of the most crucial of the several steps taken by this government is JAM-jan Dhan, Aadhar & Mobile. With a view to increase the penetration of banking services and to ensure that all households have at least one bank account, a National Mission on Financial Inclusion named as Pradhan Mantri Jan Dhan Yojana was announced by Prime Minister Sh. Narendra Modi in his independence speech on 15th August, 2014 and the scheme was formally launched o 28th August, 2014. PMJDY has been designed to ensure accelerated access to various financial services like basic savings bank accounts, affordable, need-based credit, remittances facilities, and insurances and pension for excluded sections. Such deep penetration at affordable cost can only be possible with effective use of technology. Hence, the banking ecosystem operating on core banking mode, and ability of NPIC to scale-up issue of debit cards has enabled effective implementation of PMJDY. As a result, the number of new savings accounts opened by way of every Bank A/c to be online with Rupay Card & Mobile banking Facility , use of e-KYC to ease the accounts opening process, use of Aadhaar enabled Payment System (AEPS) for interoperability, support for setting up FLCs, support for setting up FLCs, support for demonstrating banking technology (Mobile Van fitted ATM), on-line Monitoring through system +generated MIS and facility of Call Centre & Toll free number has resulted in astounding success of the scheme. To expand the network of ATMs, the RBI has allowed non-bank entities to start ATMs (called ‘white Label ATM’). The Rupay Cards have significantly increased its market share in the country so far. The card has been provide to the account holders of PMJDY. Financial Literacy Centers were started by commercial banks at the request of RBI to give awareness and education to the public to access financial products. Here, RBI’s policy is that financial Inclusion should go along with financial literacy. The launch of direct benefit transfers through the support of Aadhar and Bank Account is one of the biggest development that activated and retained people in the newly opened account. As a part of its financial Inclusion plan, the RBI started the Business Correspondent model in 2006. Business Correspondents (BCs) are representative appointed by banks to acts as their agents, who provide banking services in remote locations, where the bank may not have a presence. The two major technological components involved are the handheld offline device through which financial service are offered to the customers and the smart card (32K/64K memory chip) provided to each customer for recording of transactions. Along with these, the BC uses an Account opening Form (AOF) and a laptop for feeding customer data, a digital/web camera for capturing customer’s photograph and a biometric device for recording his fingerprints. The Digital India, initiative, coupled with a payment infrastructure, is laying the cornerstone for a digital economy, keeping in mind the increasing willingness of people to use ten internet and the rising data traffic I the country, an investment of $18.4 billion has been made to provide last mile Internet connectivity, better access to government services, and development of IT skills, Provision of broadband internet access to 2,30,000 village-clustered by 2019 at a cost of about $5.9 billion. Rupay Kisan Cards have been providing impetus to cashless transactions among the farming community. NABARD has extend support to Cooperative banks and RRBs in procuring EMV chip-based Rupay Kisan Cards. Direct Benefits Transfer scheme was initiated to facilitate disbursements of government entitlements such as those under the social security pension scheme, handicapped old age pension scheme etc., of any central or state government bodies, using Aadhar and authentication thereof, , as supported by UIDAI. Payments banks are a new model of banks conceptualized by RBI. The main objective of payments bank is to widen the spread of payment and financial services to small business, low-income households, migrant labour workforce in secured technology-driven environment in remote areas of the country. Today more than 70% of our population owns mobile phone, hence, leveraging its penetration to rural areas, with its advantages over traditional banking methods because of breaking down geographical constraints along with immediacy, security and efficiency, It offers an innovative low-cost channel to expand the reach of banking and payments services especially to the large section of rural mobile subscribers. To promote digital transactions for personal consumption expenditure, two schemes viz. Lucky Grahak Yojana and Digi Vyapar Yojana were funded through Financial inclusion Fund for consumers and merchants respectively. National payments Corporation of India. (NPCI) determines the winners for cash rewards by choosing them through an electronic draw of lots from amongst the digital transactions IDs generated from 8 Nov. 2016, during the course of such transaction. Apart from this, the Financial Literacy Awareness Programmes were recast as d-Flaps held across the country.